No-Till Cannabis Cultivation is quietly becoming the standard for growing elite cannabis. 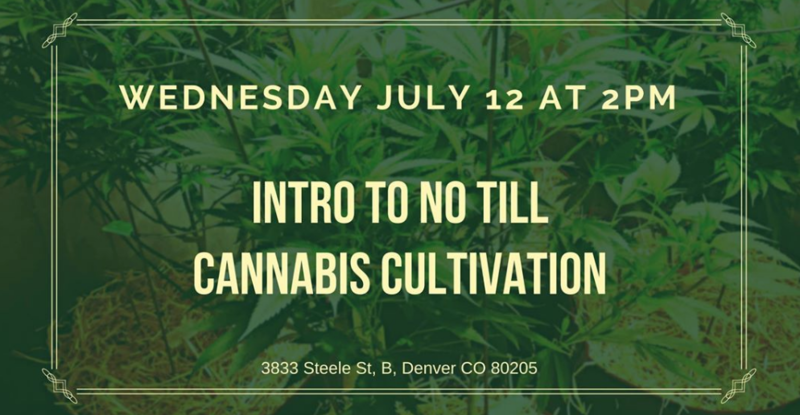 This beginner class will allow you to start looking at cultivation practices with new ideas and concepts. By focusing on "Feeding The Soil, Not The Plant”, we begin to view our soil mediums as the stomach for our cannabis plants. No-till growing is the process of farming that focuses on as minimal manual soil disturbance as possible. This process allows for maximized water content and organic matter retention – leading to high-quality cannabis with sustainable practices. No-Till allows the farmer to focus on building a thriving soil microbiology, and the plant will take care of the rest! With this new approach to cannabis cultivation we let the plant take back control from the farmer! Growing No-Till allows: - No need to worry about pH levels - No need to worry about Parts per million (PPM) - Full cannabis genetic profile expression - Grow High Brix Cannabis 12%+ - Grow with high quality bio-stimulants - High Terpene and Trichome Production - Grow for pennies on the dollar compared to synthetics About the Instructor: Introduction to No-Till will be taught by Bryan Wachsman (Organic Cannabis) With 10 years experience cultivating cannabis, I am able to teach a very complex subject and make it easy to understand. Learn from my experience and mistakes and take years off the learning curve of growing elite organic cannabis. No-Till is the future style of the organic cannabis movement.